Thanks to the advent of Internet, we can enjoy communicating and socializing with people across continents, in seconds. However, poor connectivity, the absence of storage on mobile devices and low data allowance has compromised many a communication. People have had to communicate less over a considerable period of time. Research suggests that while there were 3.8 billion connections for smartphones by 2016, 45% of such connections still have lower 2G networks. To alleviate such problems and enable speedy communication, Twitter has brought a data-efficient version of the app – Twitter Lite. The new version is not just user-friendly, but also effective. It can load quickly irrespective of the speed of the Internet connection a user has, reduces data usage, takes less than 1MB on your device and is resilient on mobile networks that cannot always be relied upon. Equipped with the power to quickly navigate through Twitter, you can now, get details without having to wait for long. The experts have also armed the new version with a launch time, which is 30% faster than usual. Twitter Lite features the main attributes of the app like Direct Messages, your timeline, profiles, Tweets, media uploads, trends and more. 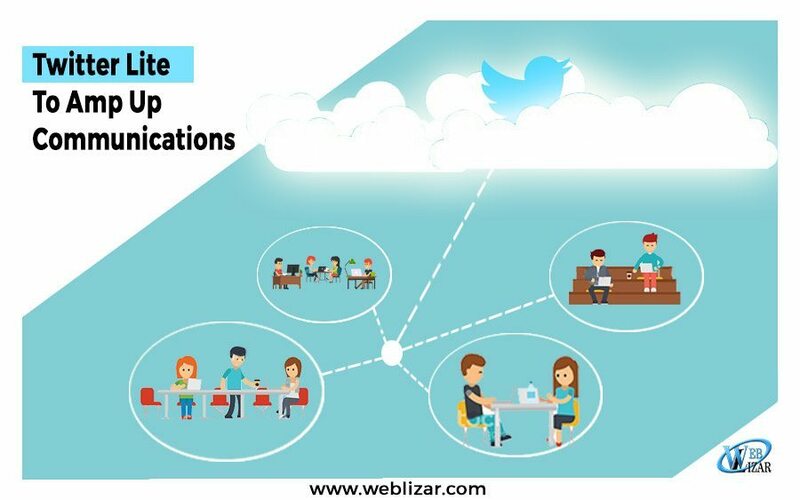 If you have a mobile device, Twitter will be accessible to you anytime, anywhere and you will not have to worry about poor Internet connection anymore. To add a cherry to the offering, Twitter has also introduced a data saver mode, which can put a check on the amount of mobile data utilized. With the help of professionals working at Phoenix SEO Sand Crest companies, you can realize that this mode enables you to enjoy a preview of videos and images prior to choosing those that you wish to load. The fact that it reduces the use of data by up to 70% makes it easy to access Twitter even in those areas where mobile data is dear. In order to make maximum use of the data saver, you need to tap the profile picture and switch on the new ‘Data Saver’ setting. As a result, images will start appearing blurred for preview, which you can click for viewing. On Android devices, you can access additional attributes of Twitter Lite in modern browsers like Google Chrome. Users can now get a huge range of push notifications so that you can get alerts about what is happening on Twitter. In the event that you lose Internet connection, you can rest assured that you will not be interrupted while socializing online. By adding Twitter Lite to the home screen of your device, you can launch Twitter with only a tap. Thanks to this lite version of Twitter, people living in developing economies and emerging markets can now enjoy using Twitter for the first time on their mobile devices. They have partnered up with various mobile service providers in different parts of the world to allow their customers to get live updates on matches. Hope you have enjoyed reading. Just to carry the momentum, please read how to Promote Your Business On Twitter and how to do Social Media Management to improve results.